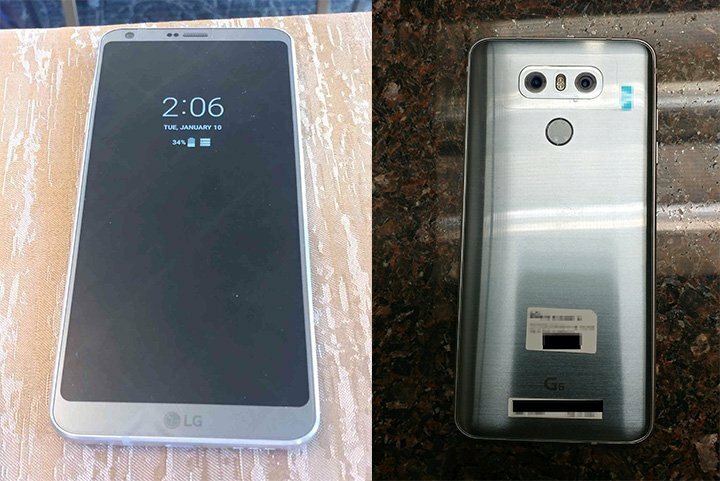 LG G6 will be announced at MWC Most of Specs and Images of LG G6 has been already leaked now another love image of LG G6 leaks which shows of Always on Display. The left photo shows what LG claims ‘FullVision’ 18:9 ratio for its 5.7-inch display and the always-on display feature. On the right, we have the G6’s shiny back equipped with two rear cameras just like its predecessor and V20 cousin. The phone is said to have a base storage of 32GB, microSD card slot, a 3,200 mAh battery, 4GB of RAM, the Qualcomm Snapdragon 821 SoC. LG G6 will come with a new LG UX 6.0 software, and send out a few teasers to various media outlets suggesting that it will feature ‘resistance’ and ‘reliability’. LG has also itself confirmed that the phone will have a 32-bit Quad-DAC like the LG V20. LG G6 will be announced at MWC 2017 on February 26.